Choker is one of the most common fashion article of the throwback trend these days. Everyone is spotting them and these neck band from the 90s have once again become a mainstream accessory. The fashion bloggers are writing about them, tweeting about them and instagramming their favorite choker pieces. Don’t think you can only carry them with casual outfit. They are available for all kinds of outfits and all kind of occasions! Another example of fine craftsmanship by Oscar de la Renta. This embellished choker design has been created out of Swarovski crystals with layered marquise and round stations. The dangling tulip-shaped charm is the main attraction of the overall design. The designer won his lifetime achievement award in 1990 and the name is known for its perfection. With choker, you do not need anything else to make a statement. 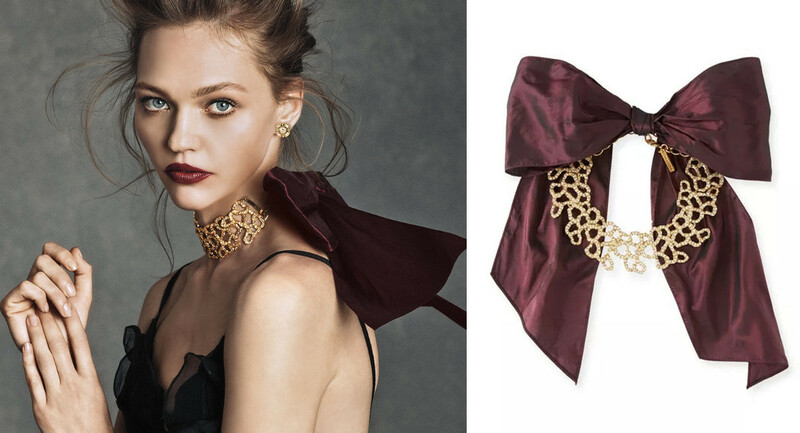 The gold plated collar comes with Swarovski crystals and looks absolutely refined and classy. The grand bow provides the overall design an edge and makes it unique. This one can certainly make heads turn if carried with confidence. 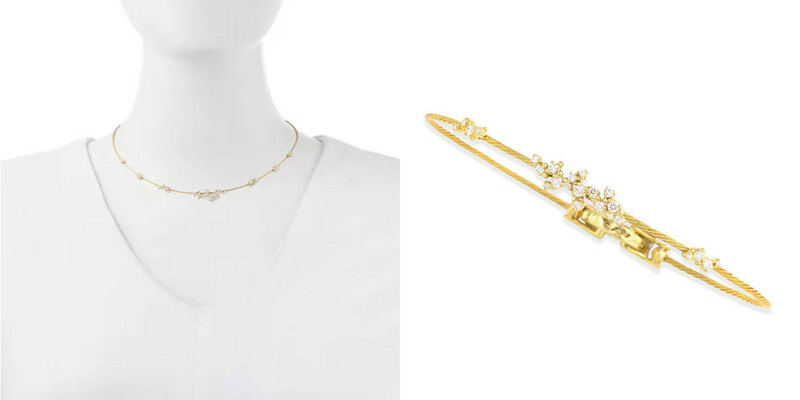 There is something about gold chokers that make them look timeless. This choker here is way beyond fashion trends and will look elegant and classy irrespective of the time period. 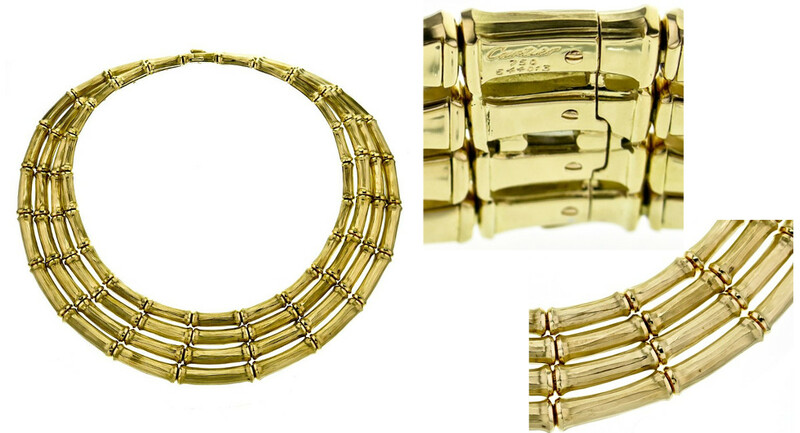 This made in Italy choker comes with a yellow golden brass and centre ring detailing. Wear it for a gathering and make an audacious statement. 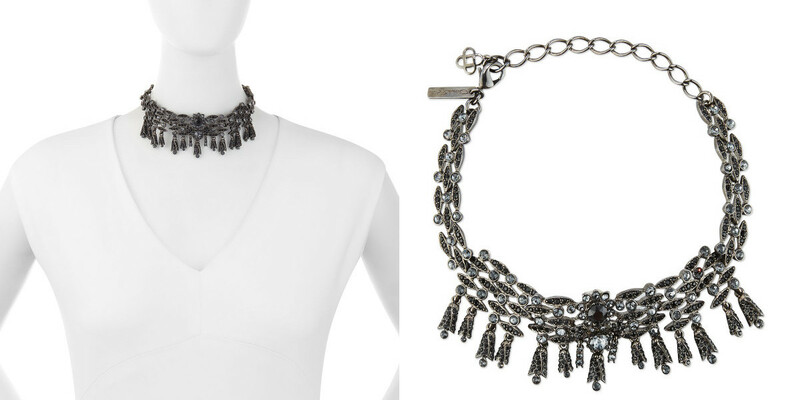 This is a beautiful handcrafted choker by Paul Morelli. Paul Morelli is known for handcrafted jewellery pieces and passion for passion for art, precious stones and metallurgy. Morelli’s first costume shop was set up in Philadelphia and till date the workshop takes place in the same building. Morelli and his team create and finish each piece of jewelry there from an original cast. These jewelry pieces are made one at a time by hand. Mizuki jewelry is known for its powerful and well-defined shapes and subtlety. They represent the Japanese heritage of the designer. This pearl and diamond collar here are no different. 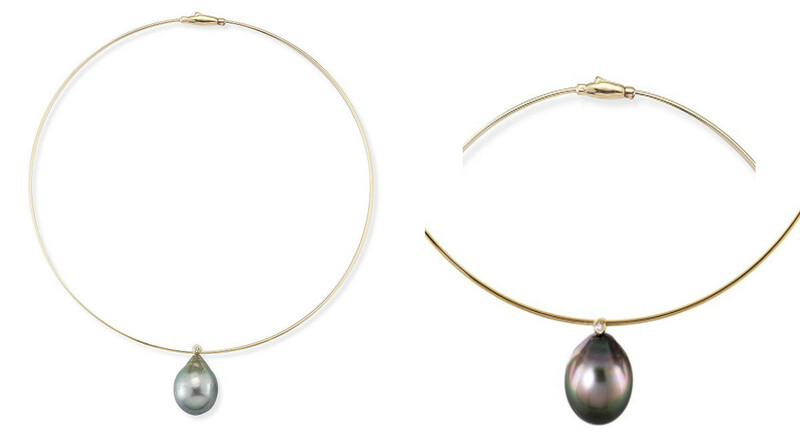 It has a 14K gold collar with a naturally black pearl that makes it rare. The 0.5 carat of diamond over the pearl adds on to the grace of the choker. Marco Bicego is an Italian designer who is known from creating finest and most luxurious jewelry pieces. 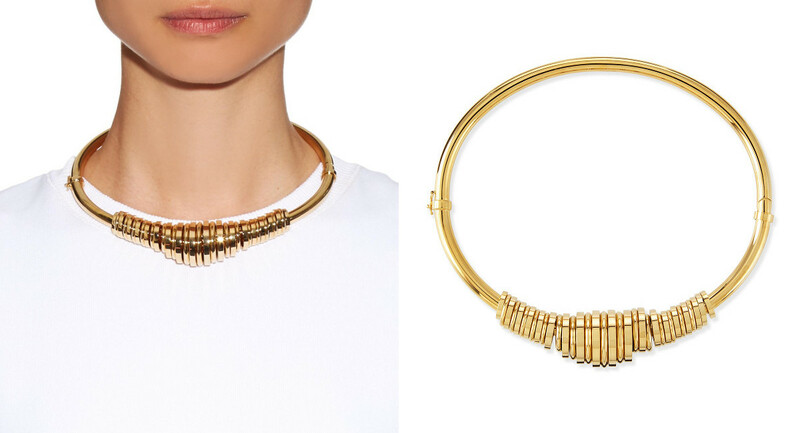 This choker design makes you look effortlessly stylish and this is what Marco Bicego strives for. This neckpiece is a part of the Masai collection. The collar strands are made of 18k gold and the little square design you see on them is made of diamond studs that weighs 0.34 carat. The name itself signifies a lot about the product. Cartier is known for creating some of the most finest piece of jewelry and watches from a long time. This necklace here is rare. 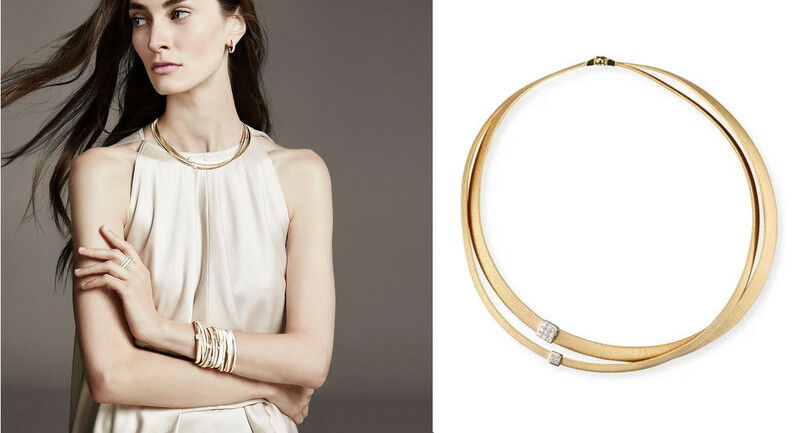 Made up with 18k gold, this choker is perfect for a formal high-end event. Even though it is a comeback, but we feel these choker designs are way better than what they use to be in the 90s. A lot of variety has been introduced and designers are experimenting with their creativity and art to bring out some master class designs.